Nutsedges are a problem in the lawn because they grow faster, have a more upright growth habit, and are lighter green in color than most other grass species, resulting in a non-uniform lawn. They thrive in waterlogged soil and their presence often indicates that drainage is poor, irrigation is too frequent or sprinklers are leaky. These grasses are difficult to identify and may appear as either yellow or purple nutsedge. 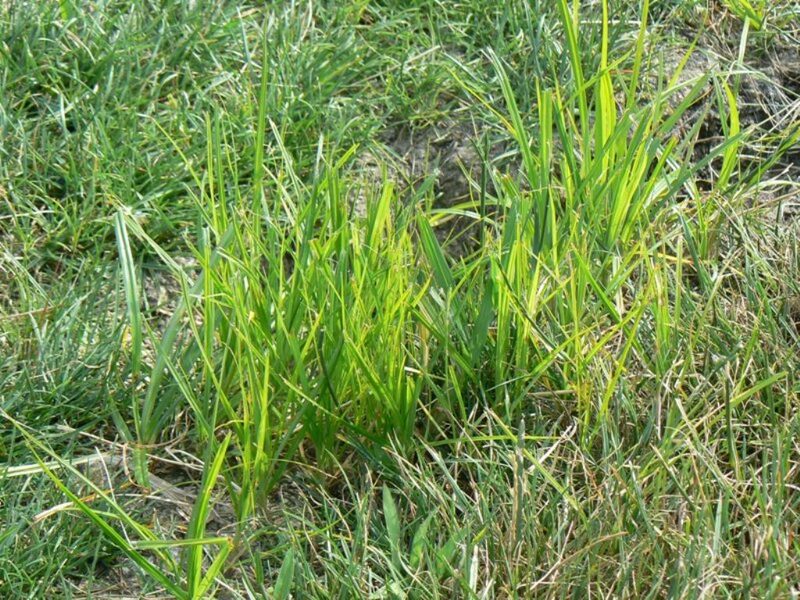 Because these perennial grasses are difficult to control, it’s wise to consult with your local Weed Man professional for eradication and management methods.